In this recipe I use shredded Pecorino Romano which in this Italians mind is superior to Parmesan but ultimately the choice is yours on which one you prefer. 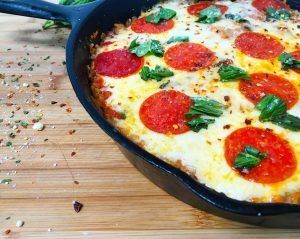 Both with work great in this recipe but I do recommend the shredded over a grated cheese to achieve optimal texture and crunchification. 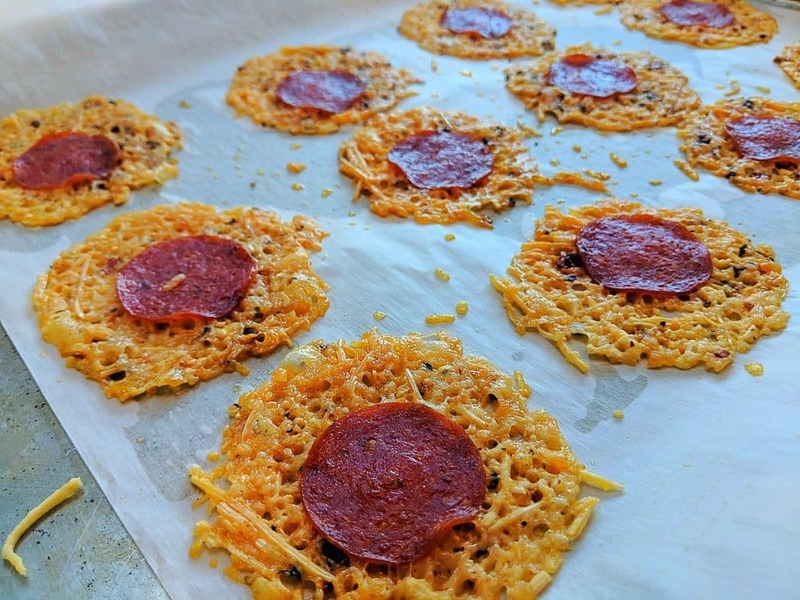 One last helpful tip is to blot any excess grease from the pepperoni after you bake them. 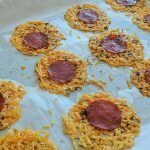 Every brand of pepperoni tends to have a little or a lot of extra grease leftover after baking. If found that these will last a few days in sealed container in the refrigerator but they don’t really ever last that long due to family members snacking on them all day. I love serving them with your favorite low carb marinara like Rao’s and an assortment of olives and pickled veggies. Last thing, you can obviously use any brand of italian seasoning you like but i would definitely recommend using The Spiceology brand Italian seasoning. This is not a sponsored post but I can’t speak highly enough of this companies spices. The Spiceology Italian blend is full of freshly dried herbs instead of the stale grass clipping flavor you get from other brands, plus it has a bit of dried chili flakes for just a touch of added heat. 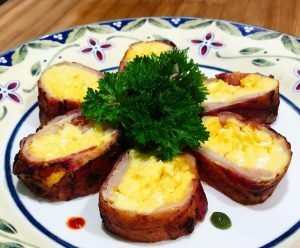 I left my amazon affiliate link below in the recipe or just head to spiceology.com for a list of all their products. ENJOY!! Preheat your oven to 350 degrees F then in a mixing bowl combine your cheese and Italian seasoning. Next using a 2-3 inch ring mold spread about 1 tablespoon inside each mold forming a round disk. Continue the process until you’ve used all of your cheese. 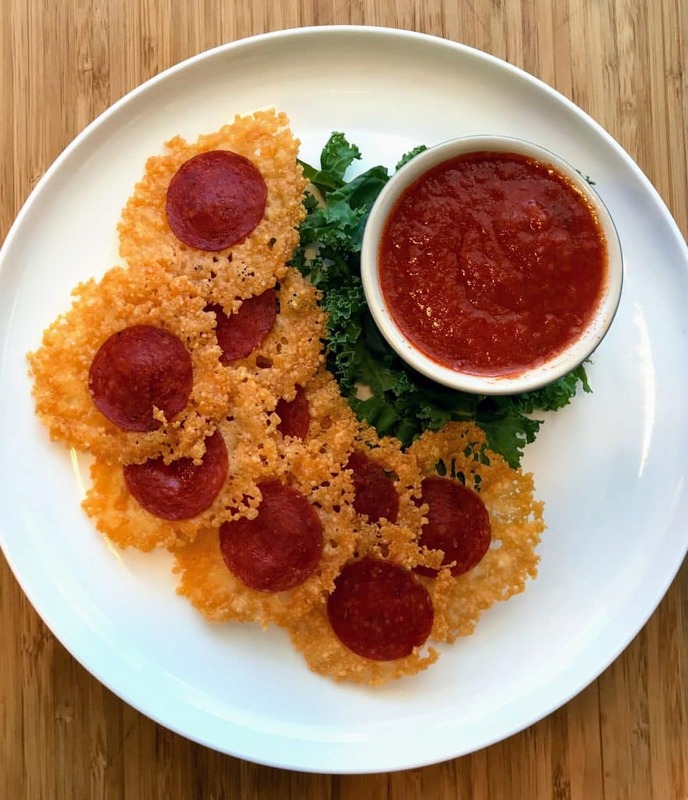 Then place one slice of pepperoni over each crisp. Bake for about 10-13 minutes until the cheese looks lightly golden and crisp. Let cool to room temperature (about 10-15 minutes) before plating. Makes 12 so 2 is a serving, right? Looks fantastic and so easy!! 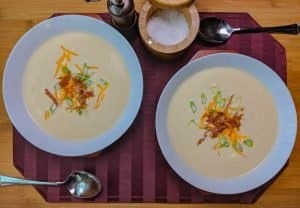 Actually it can make up to 24 depending on the size, just take the total number of crisps and divide by 6 to give you your portion size, thank you so much for checking out the recipe, please let me know if you try them.